Cynthia came to Fairbanks on active duty with the US Army in 2011. She is an Operation Iraqi Freedom veteran. Since making Fairbanks her home she has married the love of her life and they have two children. She graduated from the University of Alaska Fairbanks with a Bachelor’s of Science in Natural Resources Management. As an undergrad at UAF she was awarded an Undergraduate Research Scholarly Award to study the anti-predator behavior of Pacific Salmon, using juvenile salmon from the native and invasive range of Norther pike in Alaska. This project led her TVWA where she worked to document streams and habitat used by salmon. She was able to nominate three streams to the Anadromous Water Catalog used to protect salmon habitat in Alaska. Cynthia also works with volunteers from TVWA and Camp Habitat on the Adopt-A-Stream program. She teaches volunteers how to be Citizen Scientist and good stewards of the watershed by conducting and collecting water quality and documenting habitat/animals/fish within the watershed. Pacific salmon is her passion and the Alaska way of life is the core of her family. Born and raised in North Pole, Taylor has been in the Fairbanks area throughout her entire life. Alaska has always been her home, and the Alaska subsistence way of life has been with her since birth. With the Chena and Tanana Rivers in her backyard, her childhood was full of adventures, as well as yearly trips down south to slay salmon. Fish have always been an important part of her family’s lifestyle, and early on Taylor showed interest in watershed health. This interest led her to enroll in the University of Alaska Fairbanks, where she is currently working towards her Bachelor of Science with a major in Fisheries and Ocean Sciences. During the 2018 field season she went out with the TVWA Salmon and Water Quality Tech capturing and documenting juvenile salmon. She was also a TVWA volunteer documenting water quality parameters within the Chena River watershed. Taylor also helped to document salmon streams and salmon habitat with the US Fish and Wildlife service during the 2018 field season. She intends to graduate in May of 2019 and is excited to see where her passion for Alaska’s fish and watersheds will take her. Born and raised in Fairbanks, Jewelz graduated from Lathrop High School and traveled internationally before earning a Bachelor’s Degree in Communications, emphasis in Public Relations. She worked in Memphis, TN for the Riverfront Development Corporation. Returning to Fairbanks in 2006, she worked at the Fairbanks Chamber of Commerce and served as their CEO until 2008 when she began a consulting business specializing in Non-Profit management and Small Business development. In 2010 she earned her IOM certification from the US Chamber’s Institute on Management program. 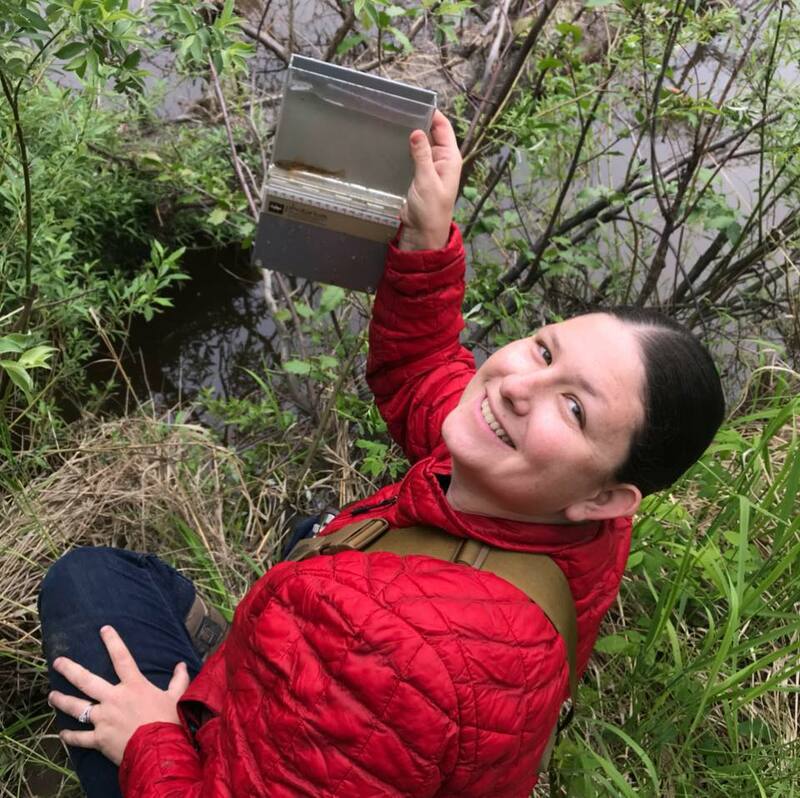 She brings to the job strong community ties, a passion for organizational development and a vision to unite watersheds of Interior Alaska’s communities. A child of the Great Lakes State, it was always Jenna’s dream to live on the water. Obsessed with river environments, she currently splits her time between two water-bodies; a dry cabin on Goldstream Creek and primitive homestead on the Tanana River. She holds a BA in history and American Studies from Kalamazoo College and also studied at the Institute for Sustainable Development Studies International in Chiang Mai, Thailand. 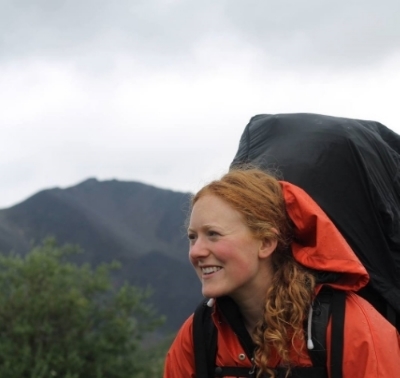 Committed to the Fairbanks community and youth outdoor education, she serves on the board of the Folk School, Camp Habitat and Alaska Youth for Environmental Action. She entertains five dogs, dabbles in herbalism, and strives to sleep outside more than inside.